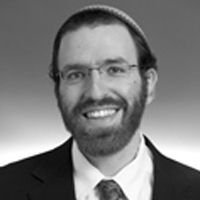 Rabbi Avi graduated with a BA in Jewish Studies from the University of Washington in Seattle. Avi spent many years in Israel, learning at Yeshivat Bat Ayin and The Hebrew University before attending Yeshivat Chovevei Torah where he was ordained. While at YCT, he interned at the Hebrew Home in Riverdale, Brown University Hillel, The Sixth Street Community Synagogue in the East Village and Beth David Synagogue in West Hartford, CT. Avi is certified in the shechita of ofot. Upon ordination, Avi returned to his hometown state along with his wife, Rachel and 3 kids (now 4 kids!). Avi is a staff chaplain at Evergreen Hospital and Hospice in addition to his work for Mercaz. 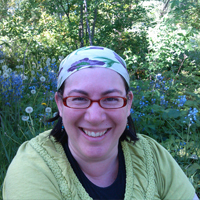 Rachel has worked in Jewish Education and General Education for 13 years. She has a BA in American Studies from Bard College and Masters Degree in Education from Mills College. She is passionate about bringing people together, building community, studying history, and learning Torah. In addition to running Mercaz and watching while her children test themselves and each other, Rachel teaches at Temple Beth Am and substitute teaches in various settings as well as actively volunteering at Seattle Hebrew Academy.